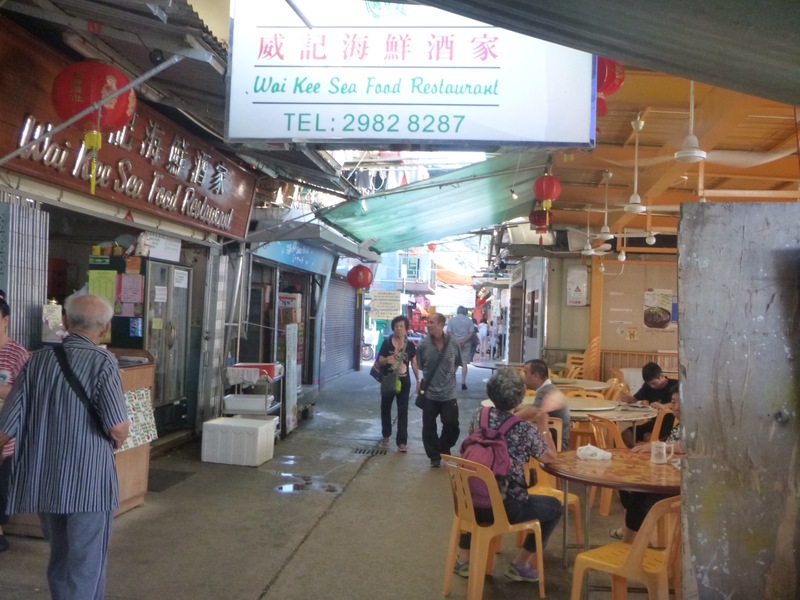 We caught the ferry to Lamma Island, a twenty minute crossing. 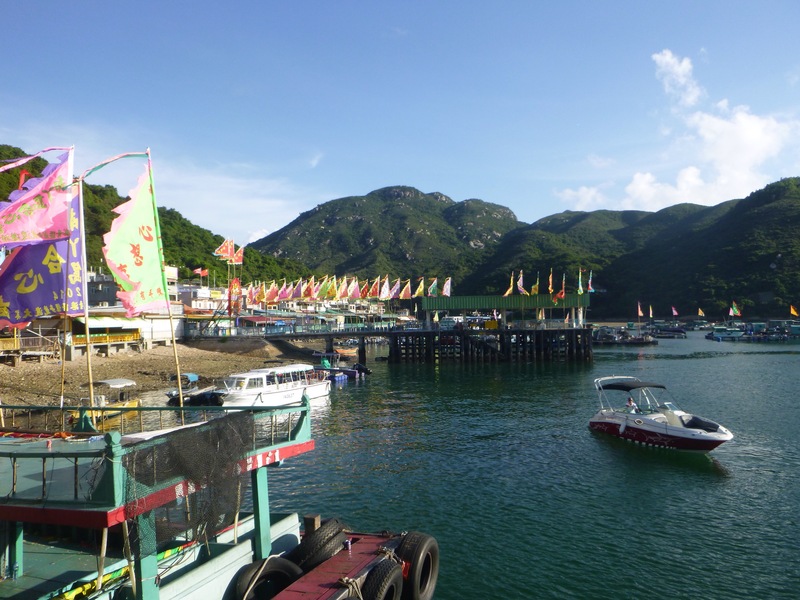 It was the third largest island in Hong Kong but was far less developed than Hong Kong Island and Kowloon. It had a large expatriate population and was a favourite with artists and musicians. There were no private cars and tall buildings were not allowed but the developers were already beginning to move in. The ferry landed us at Sok Kwu Wan where there was a large fish farm and the main street consisted of a row of seafood restaurants. 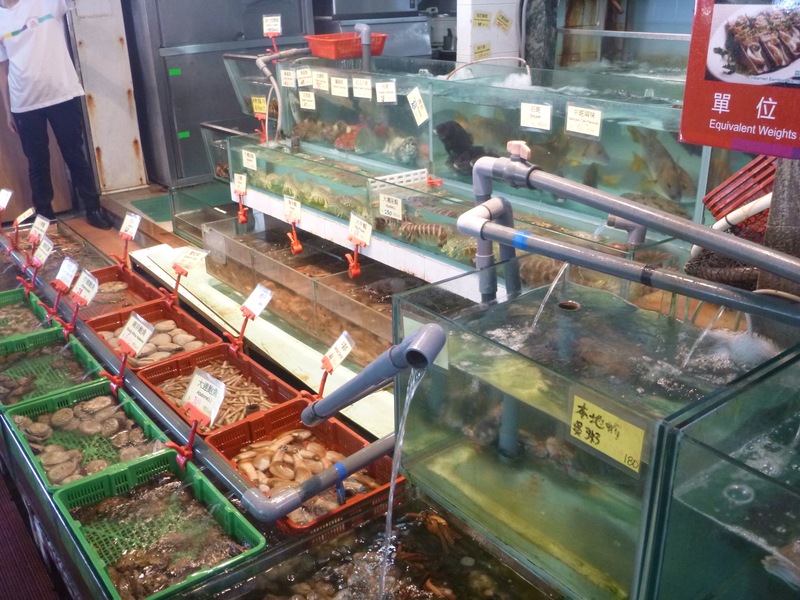 We enjoyed some of the freshest seafood we have ever tasted. 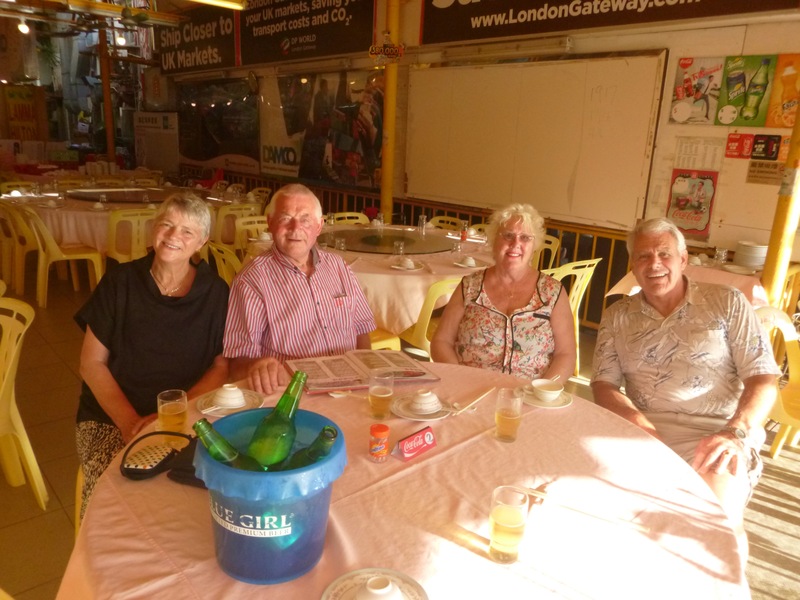 Each restaurant had its own series of small tanks where they kept a huge variety of fish to offer to customers – we were not brave and chose to dine on crab, prawns and fried squid, chased down with a few beers.